A paralysed goat has learned to walk upright like a human being! 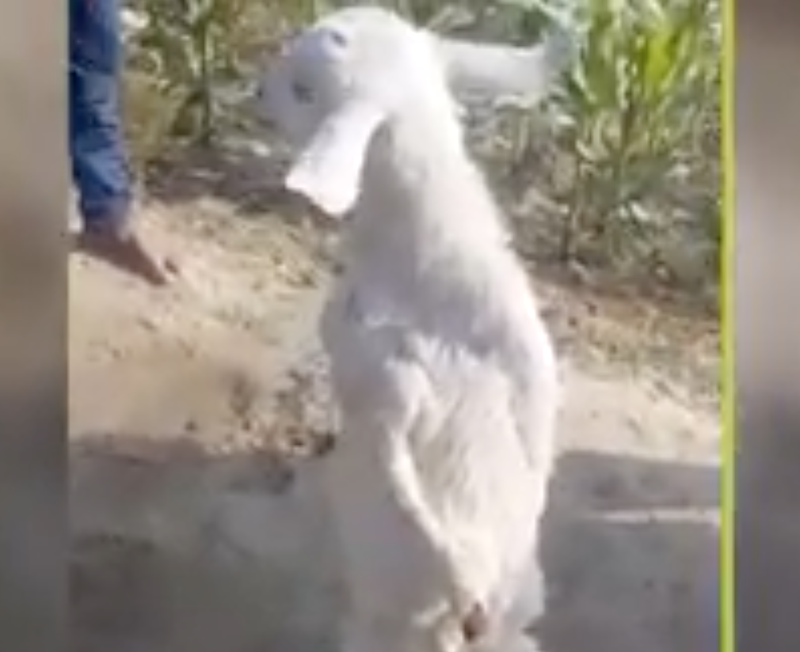 The goat from Begusarai, India was born with both of its front legs paralysed. Like most animals, the young animal had to get around despite the odds and has had to learn to walk the way human beings do. The goat is now so famous that locals travel to the village to catch a glimpse of the goat that walks like a person.